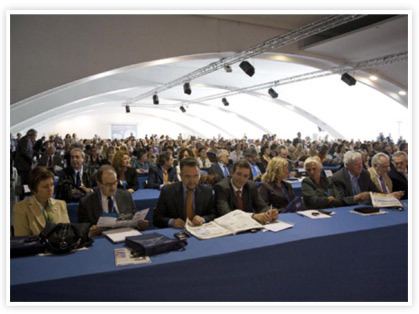 MOMENTS OF THE CONGRESS HELD AT THE CONVENTION CENTER IN VALENCIA, SPAIN, ON THE SLOGAN "THE BEST OF THE BEST". The international reality shows a growing tendency towards a globalization of culture which, without causing the loss of traditional and national values, has accelerated technological improvements and communication; but even when these aforementioned items constitute valuable resources to improve life quality, they may exercise at times certain undesired influences on the younger generations which have easy access to them. 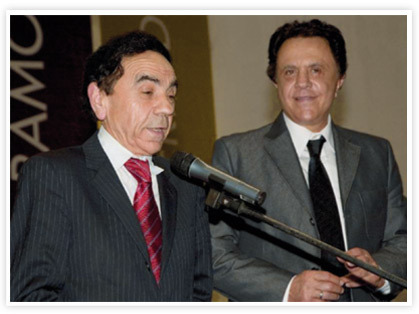 That due to such situation, the role of the school and its natural professional educators agents have to be reconsidered for they are the ones who not only impart knowledge but also facilitate young ones the tools for the development of certain competences to critically use cultural resources and finally acquire values. That the family should also be engaged in this process, accompanying teachers in the centers they have chosen for the education of their children in order to achieve the educational objectives they had. That the extension of the right to choose any educational center for their children should be ensured to families without taking into consideration social or economic positions. That States have as a duty to provide the systems with the necessary support to exercise freedom to teach and learn, as well as to sustain and respect the autonomy of educational centers. That in these systems of support those who sustain the offer (subsidizing establishments or servicing providers) will be as much valued as those who demand it (families). The system of voucher or school cheque will be specially considered, for they represent a direct form of support to the right to choose any educational system. The fiscal release of educational expenses in taxes for families or centers will also be considered. That the educational systems must be integrated with a diversity of services of state or private management, fostering through several measures fair competition and innovations. In this diversity the rights of the teachers who work for both or either system should be specially considered through an incentive to the improvement in the performance in their careers. That the data collected during these days shows that developing countries are those where the educational system has reached the majority of the population in the most efficient way. Educational Excellence is both, cause and consequence of human and social development. That under-developed countries will need to reconsider the organization of the systems and institutions to allow for the incorporation of technology in teaching so as not to increase the gap between richer and poorer countries or the so-called "first class and second class" citizens. That, along these same lines, that foundational compromise of the World Confederation of Education is renewed after two decades: "While in the world exists a citizen who does not receive Education of Quality, our duty will be unfulfilled." 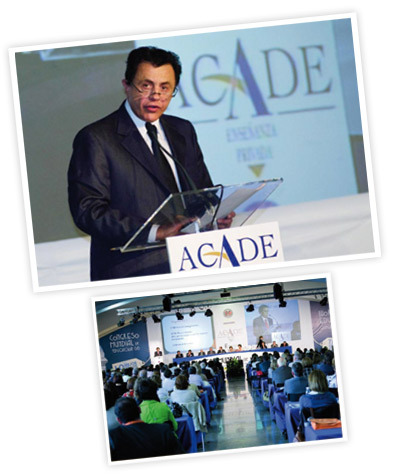 DR. EDGARDO DE VINCENZI, PRESIDENT OF COMED, TOGETHER WITH DR. JESÚS NÚÑEZ VELÁZQUEZ, PRESIDENT OF CADEICE: CONFEDERATION OF ASSOCIATIONS OF PRIVATE EDUCATION CENTERS IN THE EUROPEAN UNION. THE HONORARY PRESIDENT OF UNICEF, INFANTA MARGARITA DE BORBÓN WITH THE MEMBERS OF COMED.